Teething is a tough ride, for both baby and parents! 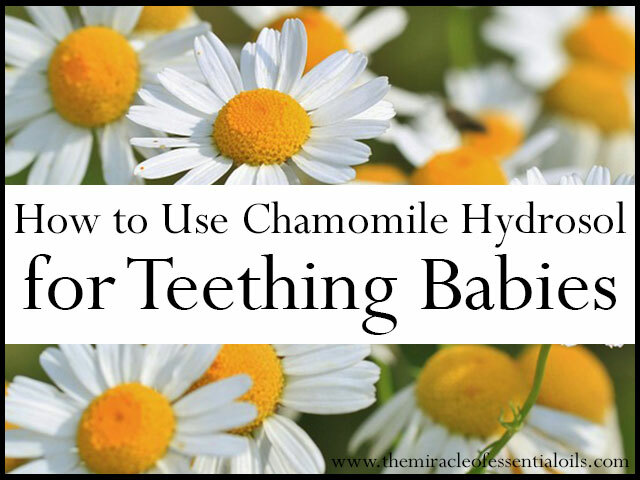 Luckily, there are plenty of natural remedies to use; german chamomile hydrosol for teething is a tried and tested trick that can calm your little tooth-growing tot in an instant! German chamomile (Matricaria Chamomilla) hydrosol is a by-product of the essential oil distillation process. It looks just like water, but do not be fooled! 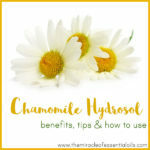 Like many hydrosols, German chamomile hydrosol is rife with dozens of health benefits including anti-bacterial properties. 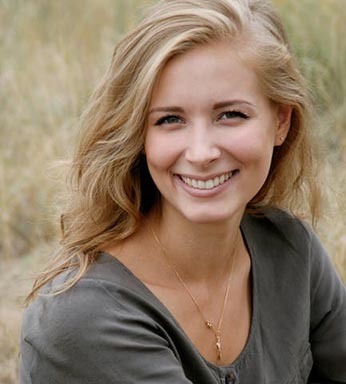 It helps heal a variety of skin ailments including spider veins, acne, dry skin, wrinkles and aging. It also helps manage the symptoms of skin disorders like psoriasis, eczema and rosacea. 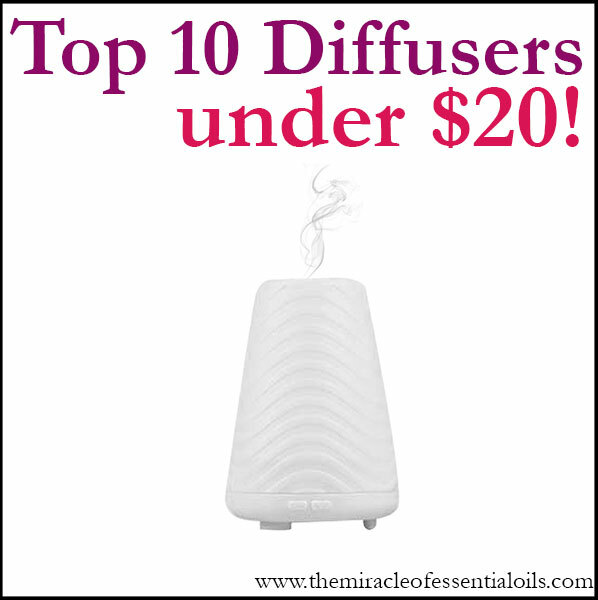 The aroma of German chamomile hydrosol has a light, fresh smell with a light hint of apples. One main benefit that German chamomile is popular for is relieving teething in babies! Why Do Babies Cry When Teething? Believe it or not, teething is very uncomfortable. Your little one’s new teeth are coming up, and it’s a big process for their tiny bodies. Imagine having swollen gums, sharp little teeth cutting their way up AND not being able to express it! No wonder your baby is crying in an effort to communicate the pain and discomfort. Some babies will even come down with a fever when teething. They’ll often be cranky, fussy, irritable. Other signs of teething include drooling, night walking, persistent crying and a tendency to bite everything in the way, in an effort to soothe their aching gums. 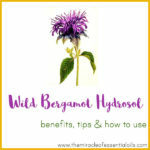 Enter German chamomile hydrosol. 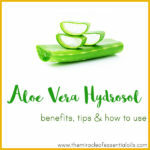 This is one of the most gentle hydrosols ever, perfect for your baby! German chamomile is a known soother, pain reliever and has calming, cooling and anti-inflammatory properties. 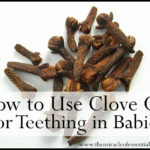 This makes it just the right natural remedy to calm down your teething baby’s gums. Direct application: Directly rub some chamomile hydrosol onto your baby’s gum using your fingers. Wet wash cloth: Baby’s love chewing on wet wash cloths to soothe irritated gums. Wet a clean, organic cotton wash cloth with German chamomile hydrosol and give it to your baby to chew on. They’ll love it! Popsicles: This works for older babies. Make some soothing homemade teething popsicles by blending your baby’s favorite fruit (such as banana or strawberry) and some German chamomile hydrosol. Pour into popsicle moulds and freeze. Hand this to your baby when they are fussy and teething. The ice will also numb your baby’s gums, distracting them from the pain. What About German Chamomile Essential Oil? Chances are, you may have come across German chamomile essential oil for teething relief. 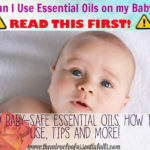 You need to exercise great caution when using essential oils with babies, and if you don’t know what you’re doing, it’s best to not use essential oil on babies. But diluted correctly and used with care, essential oils such as German chamomile essential oil can help soothe teething – but they are not the go-to remedy for teething. Hydrosols are a much safer, and more effective remedy for babies, since they do not need to be diluted, are non-toxic, safe and gentle. Plus, there is no need to worry about sensitization.